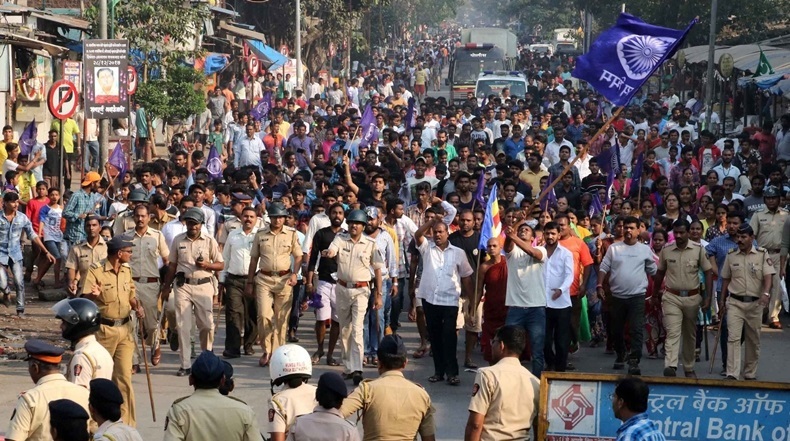 Live Updates: Maharashtra Bandh Today; State on edge after Violence, Protests: – The state Maharashtra is reportedly on edge post the anniversary of a battle fought 200 years ago which bring the tension of Maharashtra in the form of simmering caste tensions or trauma. Today because of this caste tension Maharashtra statewide declared because of the protest which took place in the state and the state government’s alleged failure to stop violence which goes through to see and observed the protest by Dalits. Dalit demonstrators actually tried to block tracks at the railway station route of Thane at today morning, but they have chased away soon anyway. 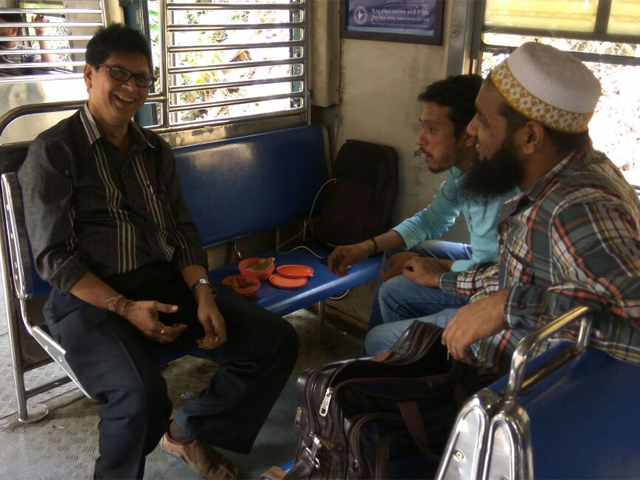 The traffic on the Central Railway line remained continuous; the railway official stated the same. While the demonstrators and the protesters also tried to block rail traffic on the Western line in the suburban area of Goregaon, stated by the police official. Tension is turned to be so series that at St Xavier’s College in South Mumbai Class 11 exams has been canceled. The statement has been given by the college authorities. Prakash Ambedkar, Dr. B R Ambedkar’s grandson and the leader of Bharipa Bahujan Mahasangh (BBM) have called for Maharashtra bandh today to protest the state government’s “failure”. The main motive and reason for the arrival of the duo are to stop the violence at Bhima Koregaon village in Pune district which is going on from two days ago in the state. He told the Maharashtra Left Front and the Maharashtra Democratic Front, alongside some 250 other organizations have held up and sustained the call for shutdown as per various reports. While the state government of Maharastra already clarified that it has not announced the school holiday, but the bus operators stated that they won’t run school buses in Mumbai today. Reportedly, the Dalit parties, are alleged of the attacker who not only to block trains, metro and buses in whole Mumbai in fact, the report further suggested that the protesters are also attacked a car showroom in suburb Vikroli. Two major roads in Mumbai’s Bandra have been blocked by protesters, so all shops were forced to close down for the day. Coupled with route diversions by the police, which resulted in the traffic jams in various parts of the city. There have been protests in Delhi too regarding the same. 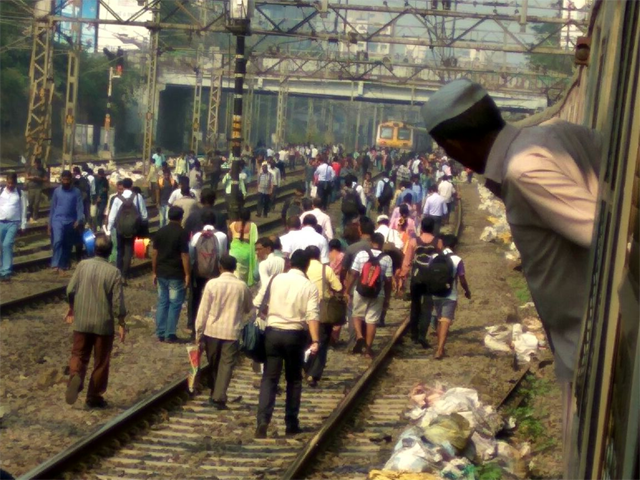 At Ghatkopar area, the local trains were blocked which was result in the delays on the Central Harbour lines. Thirteen buses of the civic transport service ‘BEST’ were also damaged by demonstrators and things are said to be solved in the evening time. In some other cities of Maharashtra also witness the protest like Nagpur, Pune, and Baramati where arson is also being reported. Sangli and Miraj, two towns in south Maharashtra also were shut down for this day. In Delhi, students are protesting outside the Maharashtra Sadan which leaves an impact on over the national capital too. The Maharashtra bandh has been called by Prakash Ambedkar, the grandson of Dalit icon BR Ambedkar. Mumbai who received a guard from nearly 21,000 security personnel of the state government. Offices are open in Mumbai, but office going people faced difficulties surely for the same. Schools were not closed but students did not attend school in large numbers. The tension began on Monday when some people from the Dalit community arrived in the village of Bhima-Koregaon, about 30 km from Pune. They arrived together in the village to rejoice and celebrate the 200th anniversary of a battle that saw Dalit soldiers fighting with the British, where they defeat the army of upper caste Peshwas or rulers. The clashes explode and took place when at the time of commemoration by Dalit groups of the battle of Bhima-Koregaon an argument took place between some assembled Dalits and right-wing groups spun out of control, which resulted in the death of a young man of Maharashtra. Right-wing groups asked this question why a British victory against Marathas will have rejoiced and he also accused Jignesh Mewani, Dalit leader from Gujarat who was just elected to public office, and Umar Khalid of Delhi’s Jawaharlal Nehru University or JNU, of provocative caste tension in the state. Regarding this tension is Maharashtra, Jignesh Mewani tweeted, “Maharashtra government must ensure rule of law. I appeal to the people of Maharashtra to maintain peace”, where he appeals for calm. The police said, on yesterday, 100 people were detained in Mumbai, and most of them were the Dalit protesters. Today, Thane, witnessed the imposition of prohibitory orders that banned large gatherings. Slogan-shouting Dalit activists attempted a rail-blockade, where they foiled by security forces. 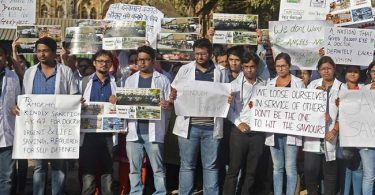 Delhi to Kerala: Doctors on Nationwide Strike Over NMC Bill 2017, Hospitals are affected!